Two articles from the fall 2017 editions of Legacy magazine are finalists for writing awards from the College Media Association. 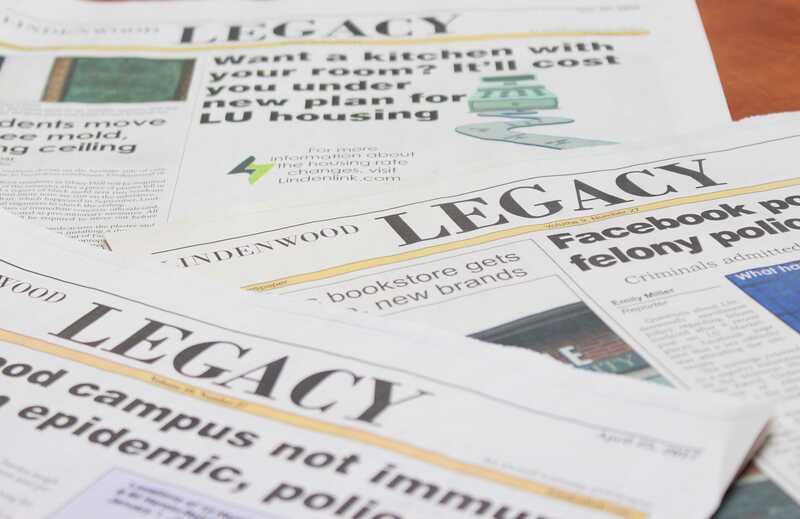 Lindenwood students will no longer be publishing The Legacy weekly newspaper starting this fall; rather, they will focus on publishing more content online and producing a news magazine. Lindenlink has been acting as the online counterpart for the student newspaper for a number of years. The new magazine is scheduled to publish five times during the 2017-18 school year, said Susan Weich, faculty adviser for the publications. The student media’s digital-first, or online-over-hard-copy focus, puts the university in line with many schools across the country. Student-run newspapers at the University of Kansas, Ohio University and the University of Georgia are among the schools that have transitioned to a digital-first format. And officials at the student newspaper at Old Dominion University in Norfolk, Virginia, recently announced they would stop publication of the print version of The Mace & Crown in favor the online version. The Huffington Post and College Media Review both cite decreasing revenue as a major factor for the decline of traditional newspapers on college campuses. The Legacy student newspaper published its last weekly edition on April 25, 2017. The Legacy started publishing in March 2007. Photo illustration by Kyle Rainey. 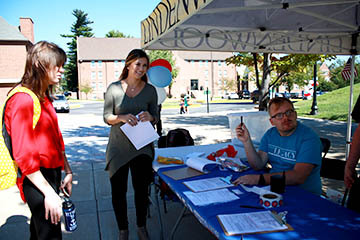 Essi Virtanen, a senior journalism major and the incoming student editor-in-chief at Lindenwood, said students will benefit from both the daily online deadlines and the extra time they get to report stories for the magazine. “It will also give our students a unique chance to develop their skills by creating something completely new,” she said. Student journalism at Lindenwood dates back to 1898 with a few gaps in the publications, according to the Lindenwood archives. The Legacy newspaper started in March 2007 after a six-year absence of student newspapers during Dennis Spellmann’s presidency. Past publications operated under names like Under the Lindens (1898-1899), Linden Bark (1924-1969) and Linden World (1985-1997).